CPR – BPK’s Take it to the Limit “Maxi” x Zeus born 7-27-18. 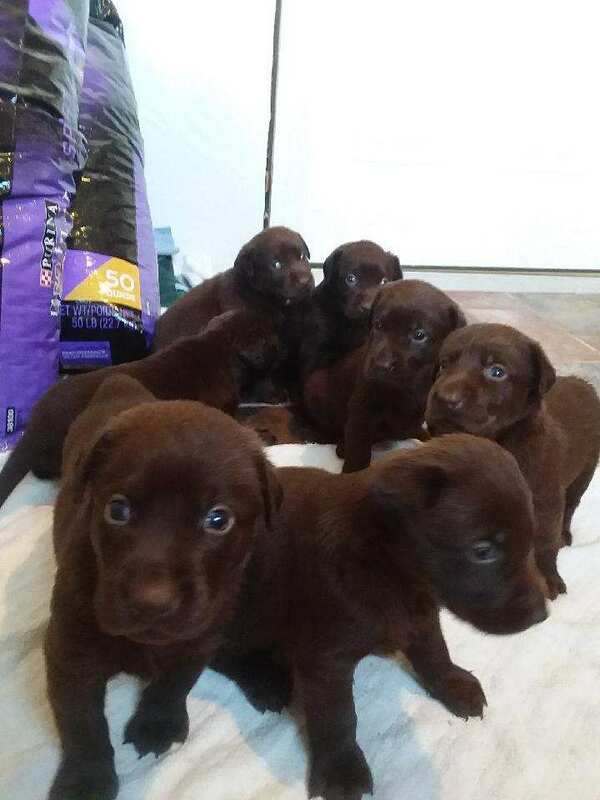 All Choc litter males and females available. CPR – BPK’s Fox on the Luce “Lucy” x 4x GMPR, HRCH Lakota’s Hurricane Cruz MH. 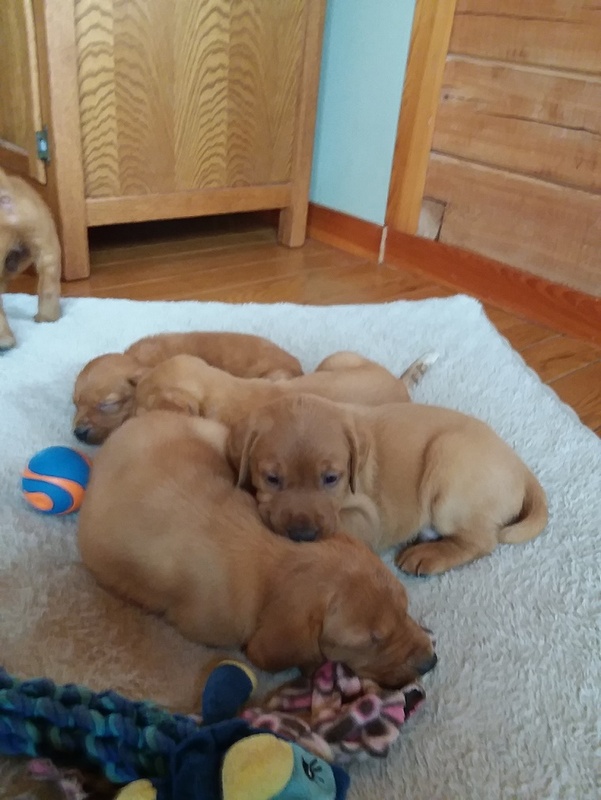 Black, Red, and Yellow Males and Females available. 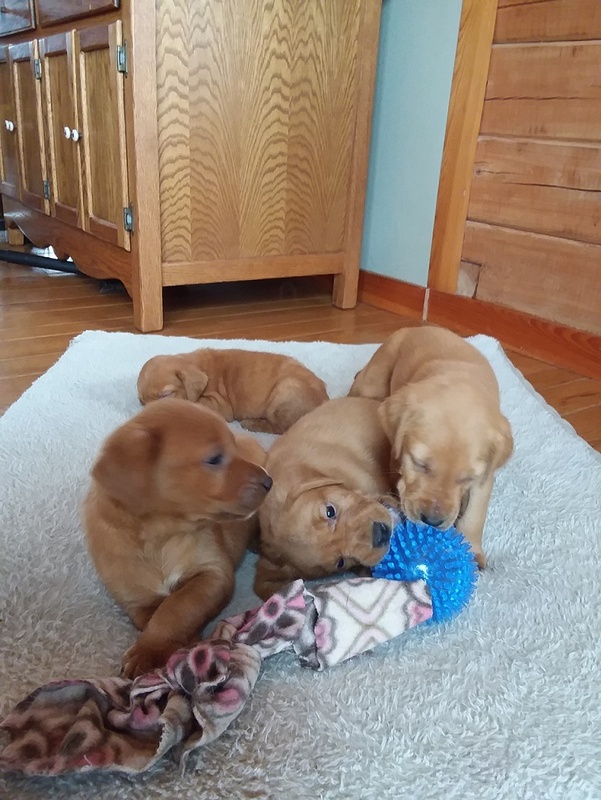 CPR, Tess x 4xGMPR Cashman’s touchem all Kirby MH Red and Yellow Males and Females available.